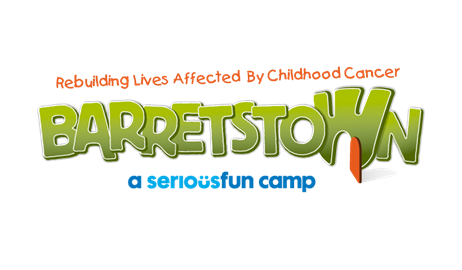 Barretstown offers free, specially designed camps and programmes for children and their families living with a serious illness. 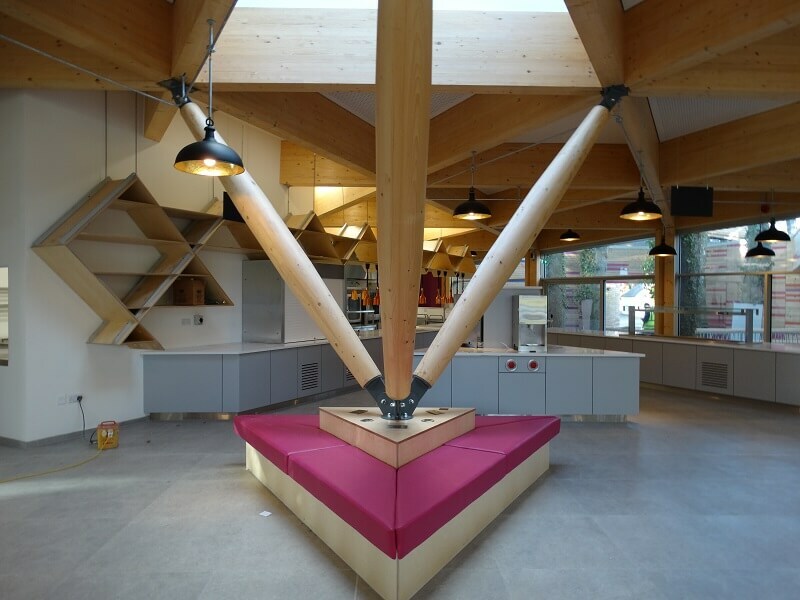 BSG Design was chosen to fit-out the new dining space, which won Building of the Year – Leisure category and the overall building of the year award at the Building and Architect of the Year 2017 awards. 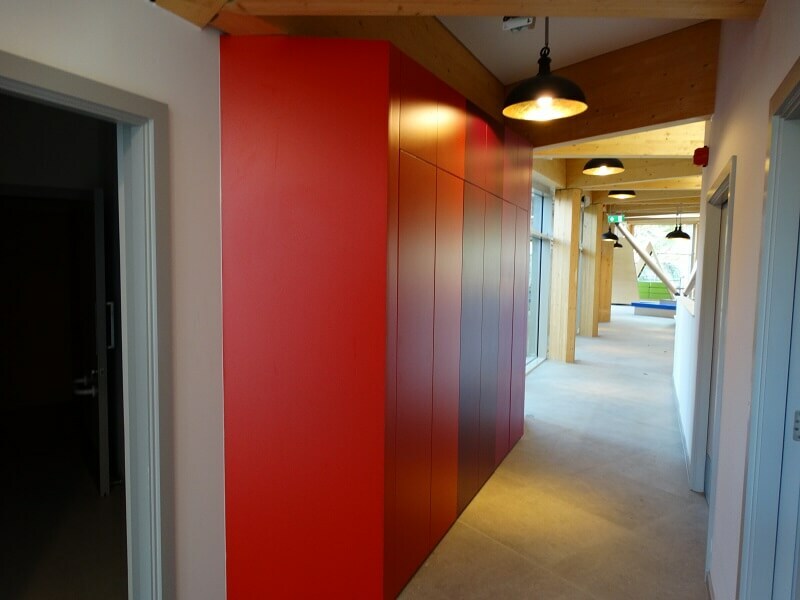 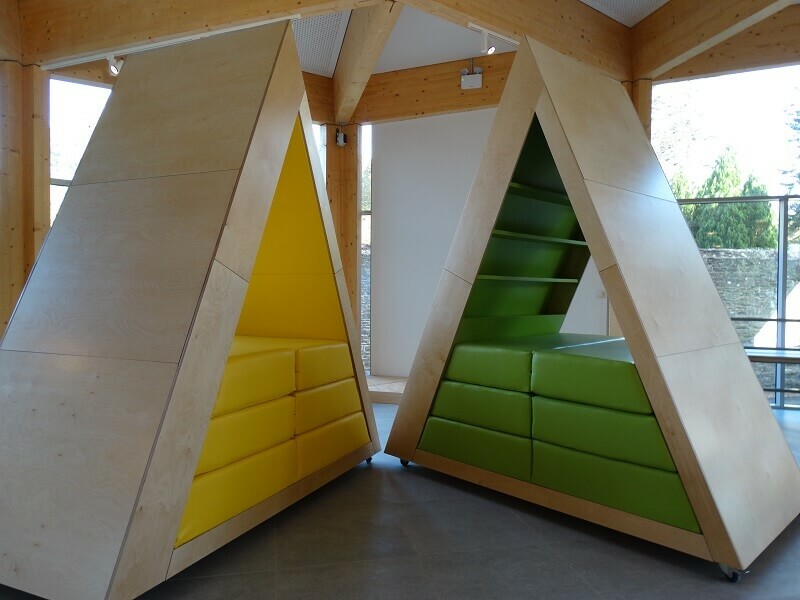 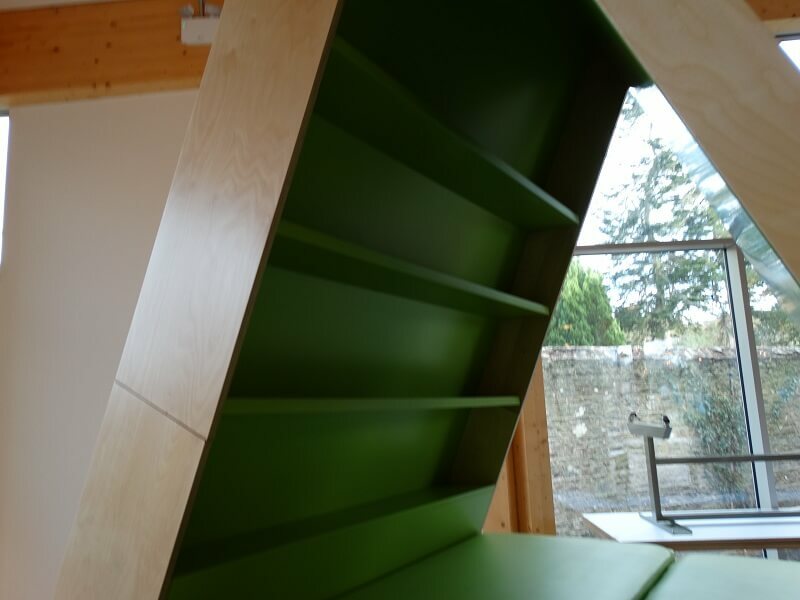 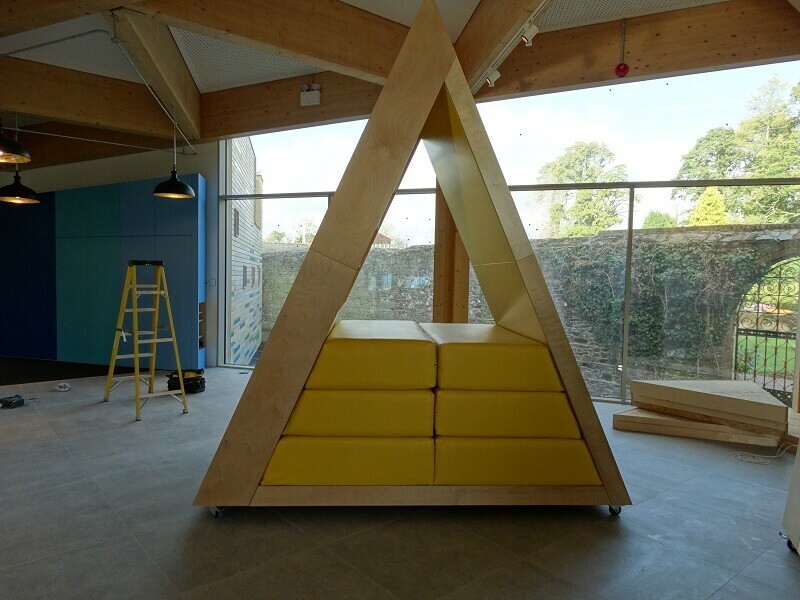 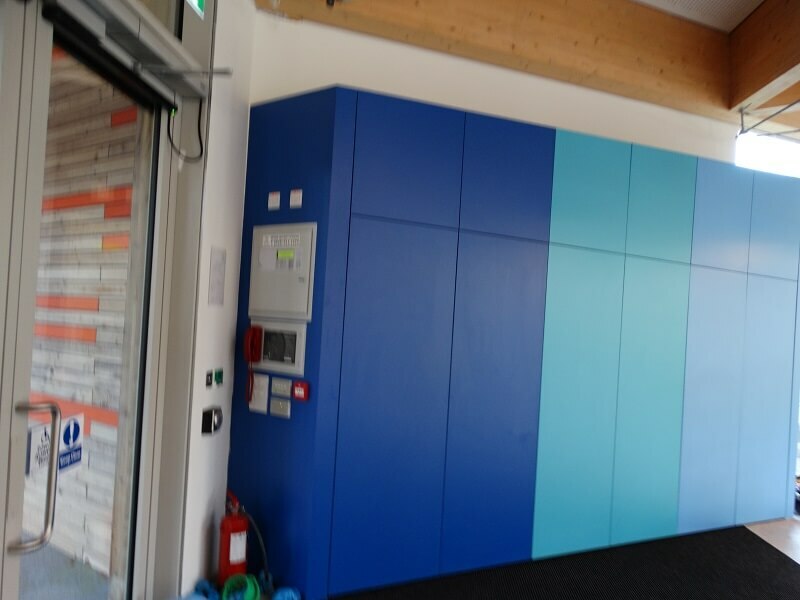 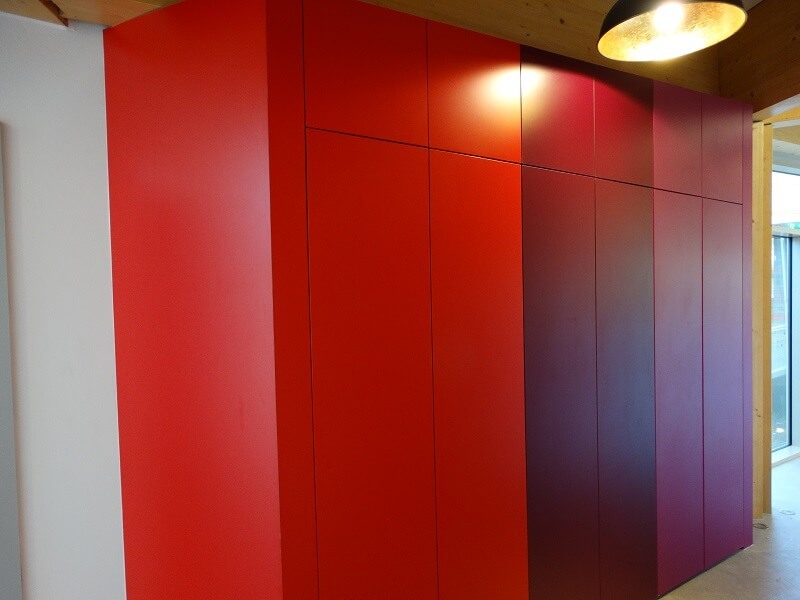 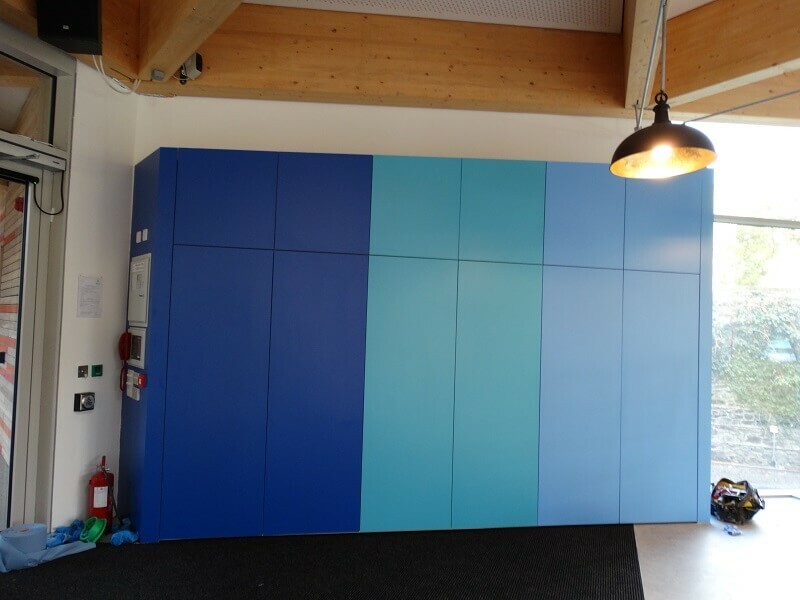 This was a very fun project to work on as there were some unusual shapes and wonderful variations in colours to enhance the space for the children. 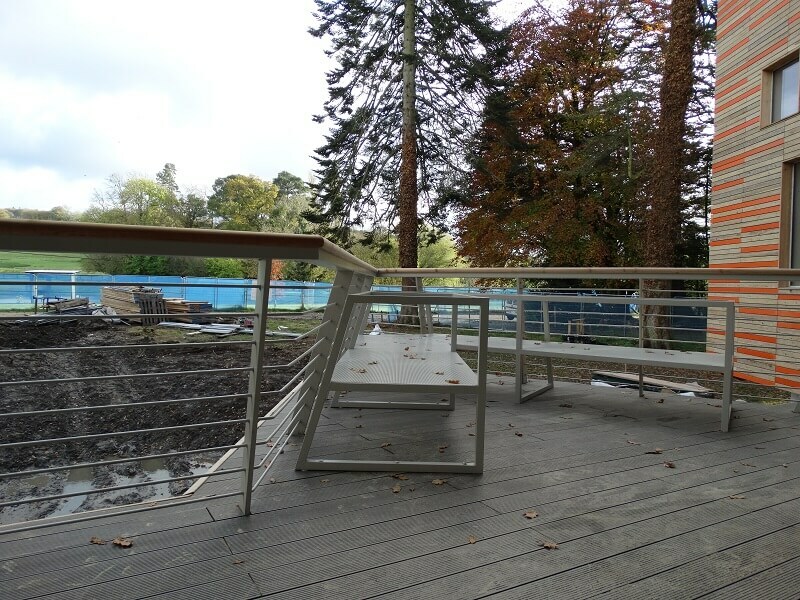 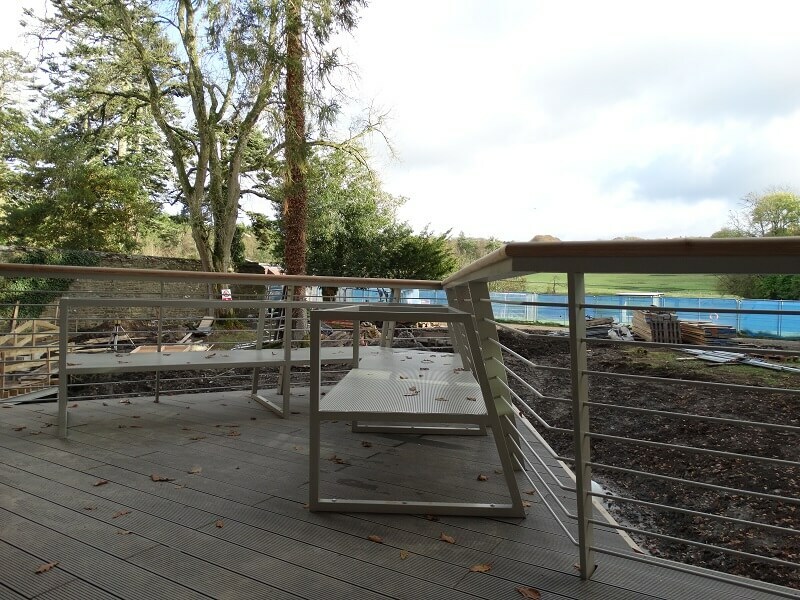 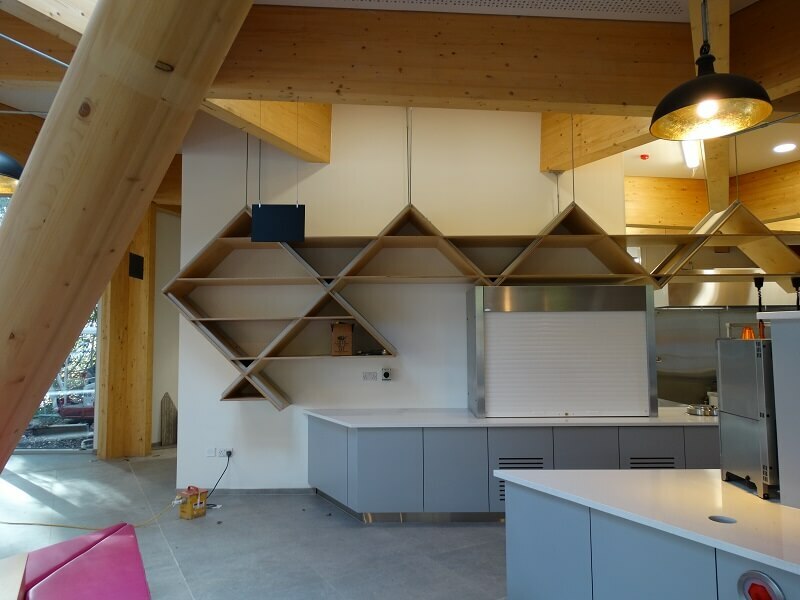 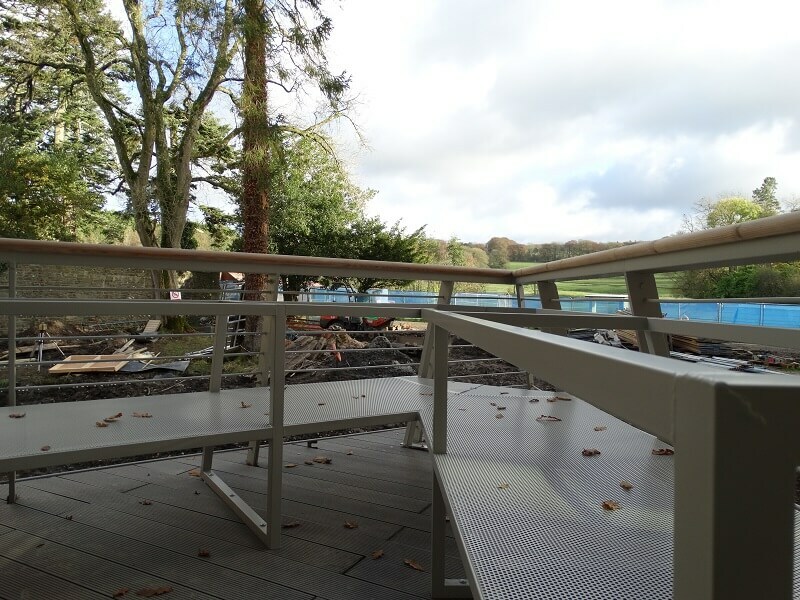 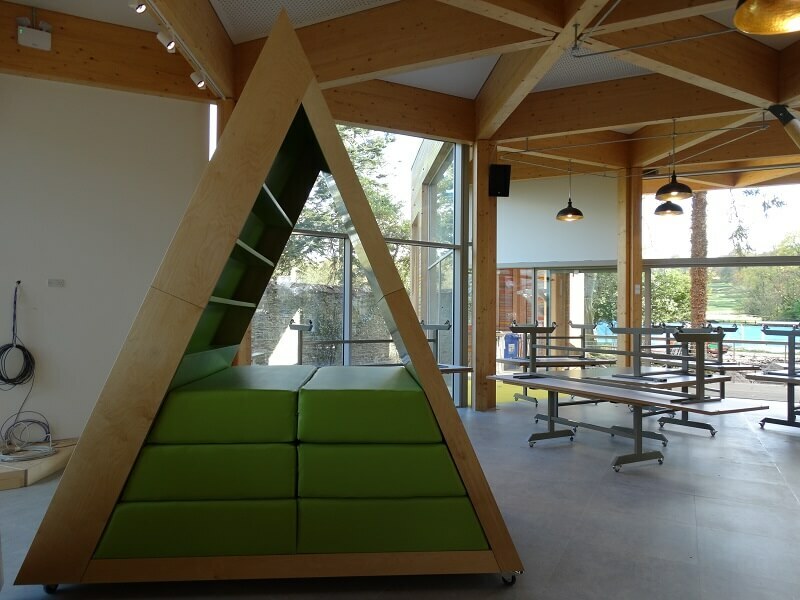 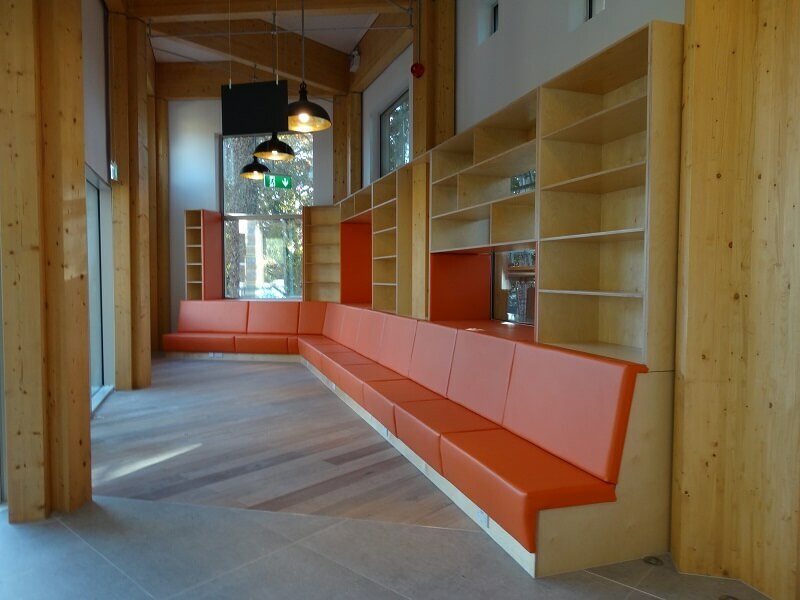 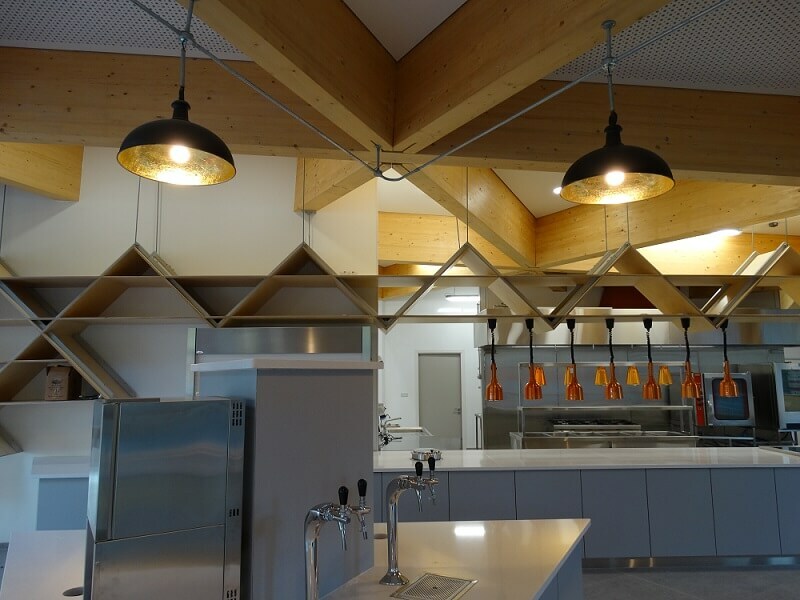 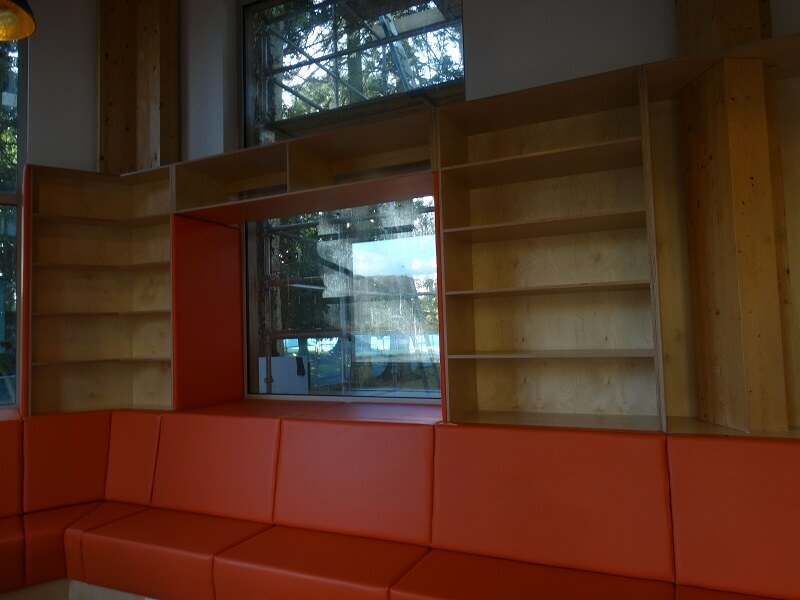 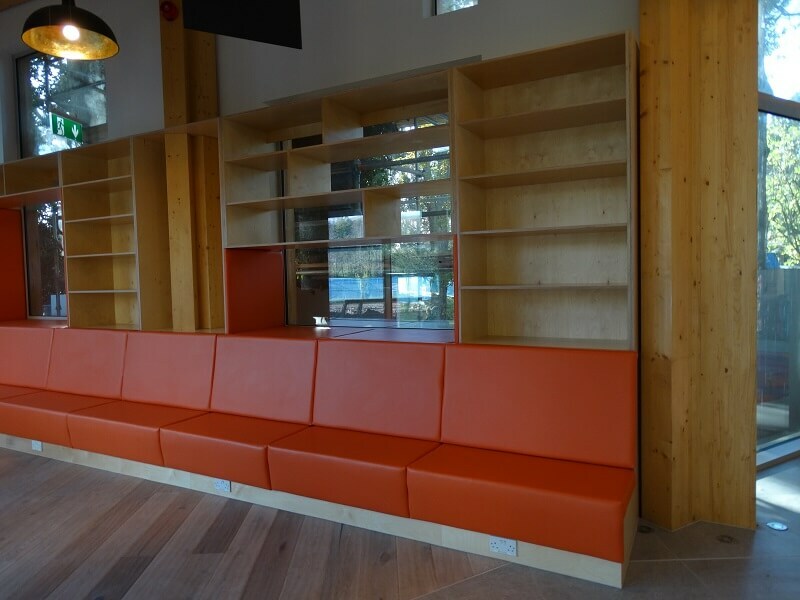 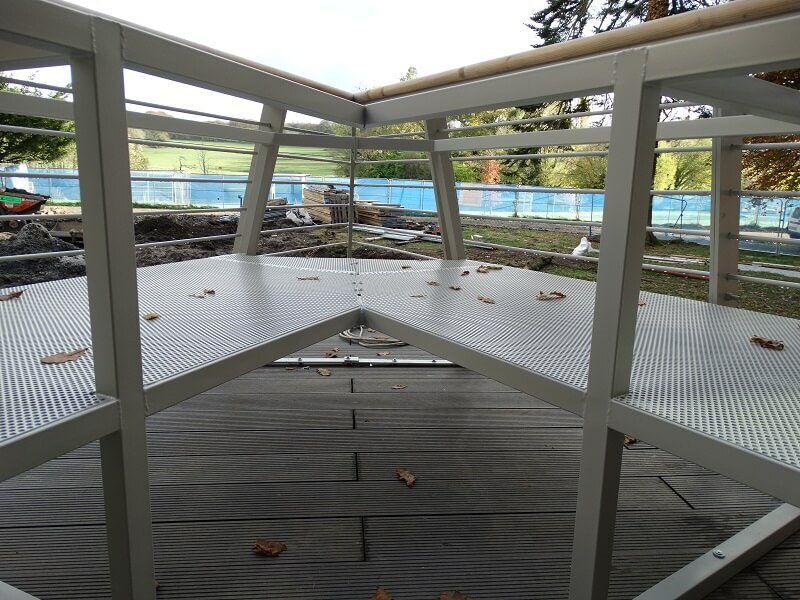 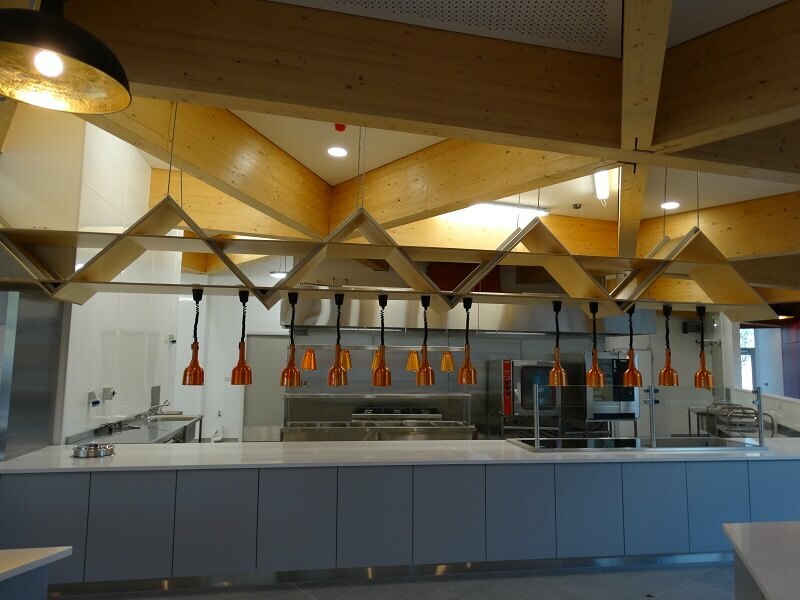 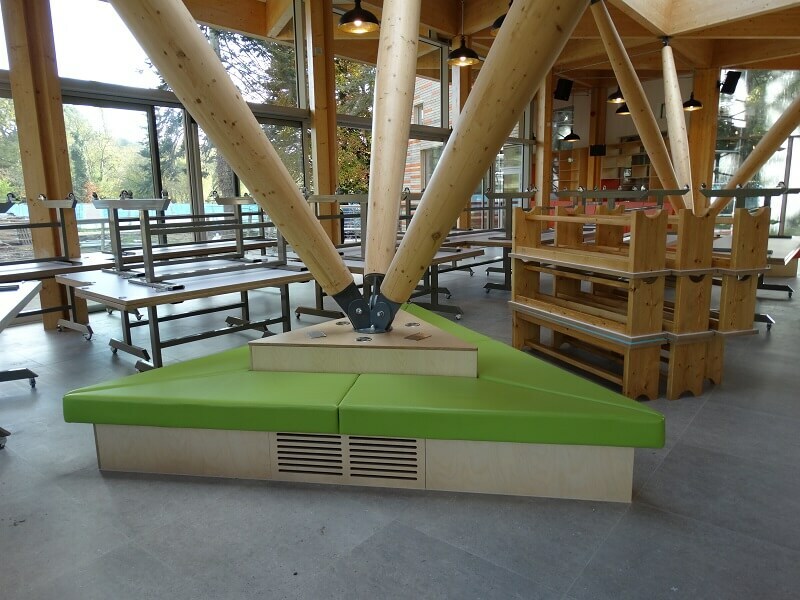 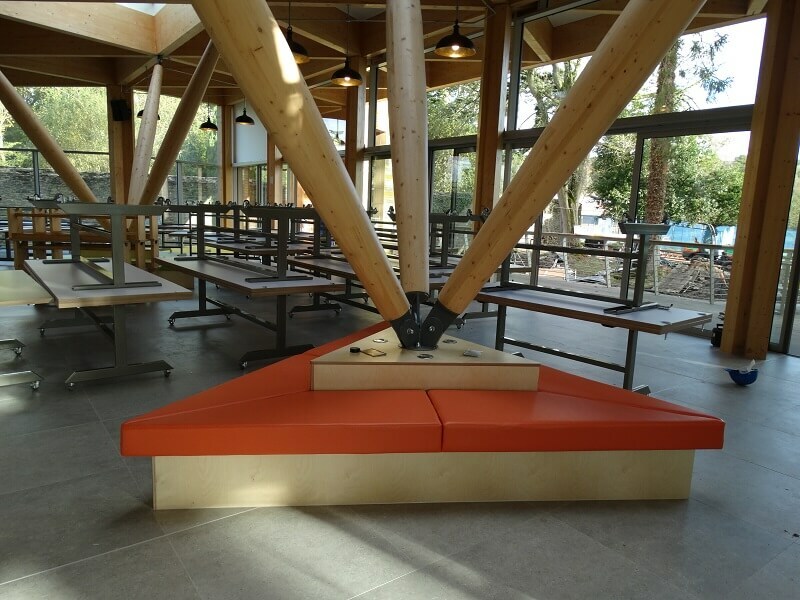 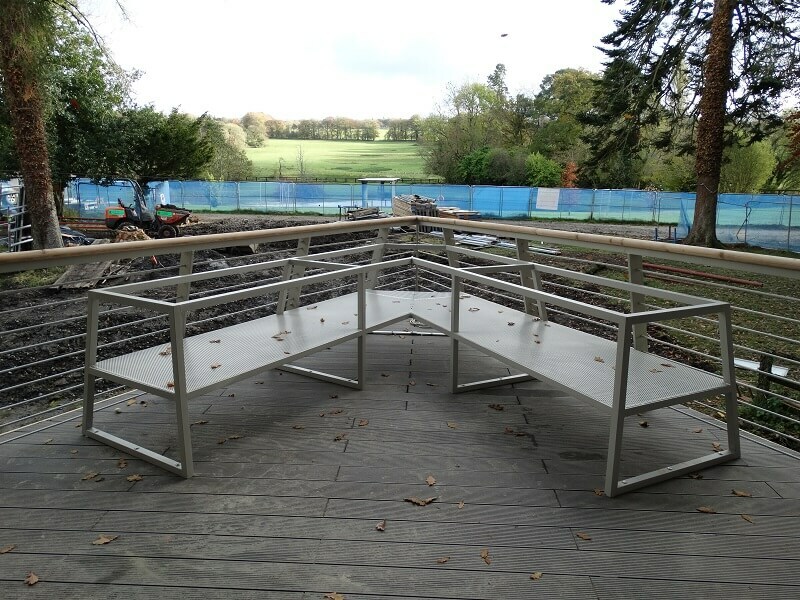 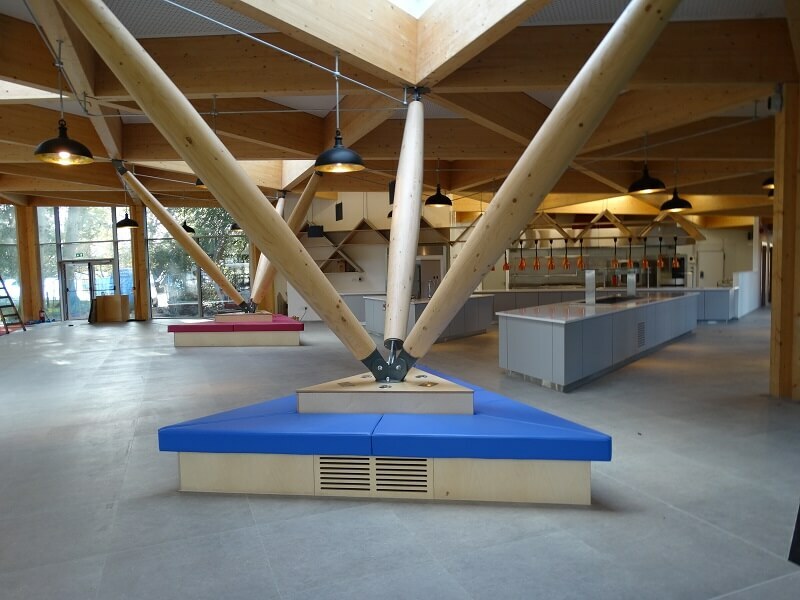 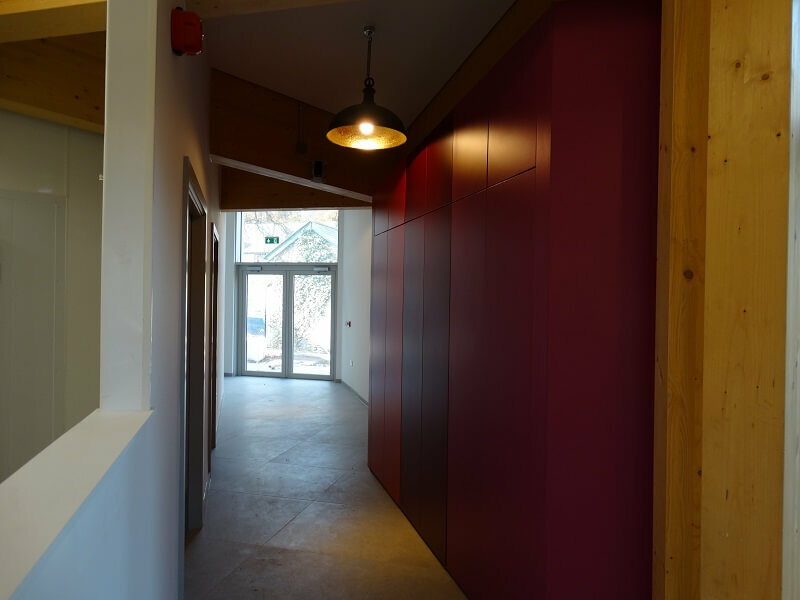 The work was completed in Naas, Co. Kildare in December 2016 and it included Den banqueting seating & shelving, teepee pods, tree column seating, cloak storage and kitchen bulkhead. 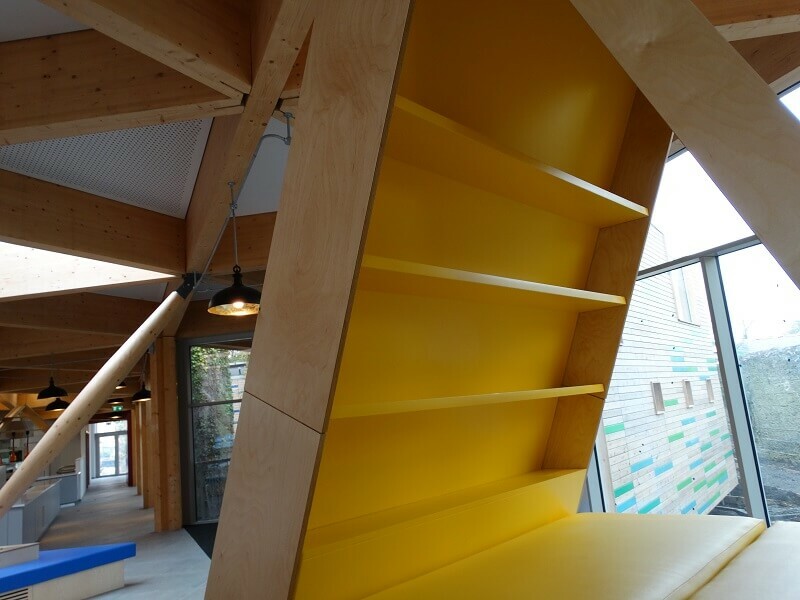 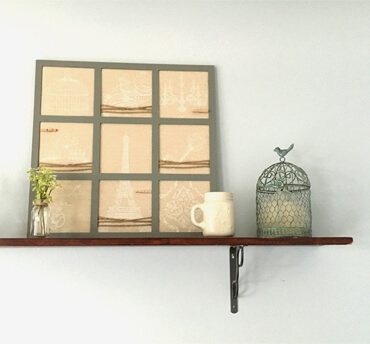 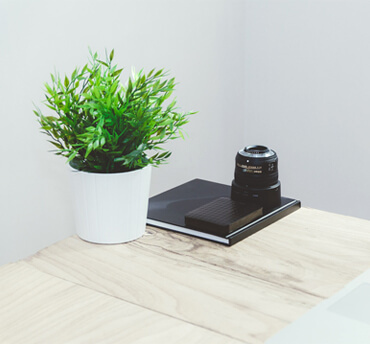 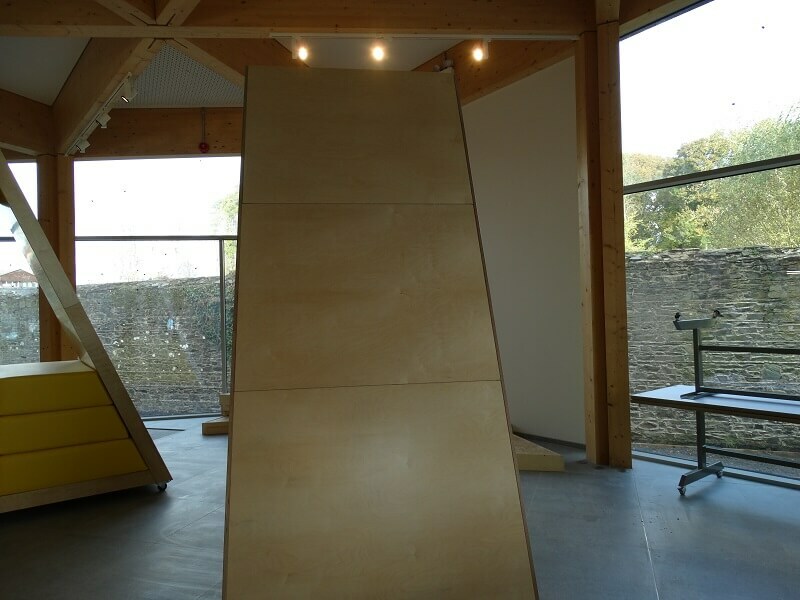 The main materials used were laminate, Birch plywood and leatherette.